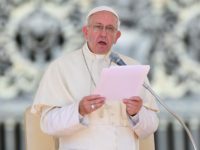 Pope Francis sent a telegram Wednesday to victims of the recent Alabama tornado and their families, promising prayers and solidarity. 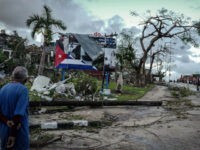 The Cuban communist regime confirmed three deaths and at least 172 injuries following a tornado landing early Monday morning in Havana, devastating at least three of the capital’s residential neighborhoods. 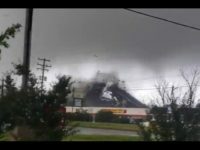 A video shared on Twitter by WeatherNation shows a funnel cloud touching down and destroying the roof of an auto parts warehouse outside Richmond, Virginia. 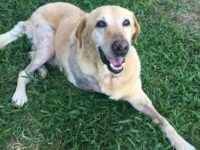 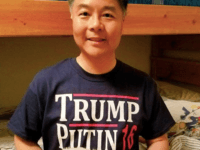 Rex, a yellow Labrador, is quite the lucky dog. 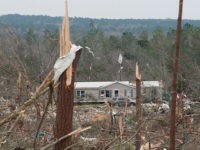 After sustaining life threatening injuries in the torrent of tornadoes that struck east Texas in April and spending months in rehab paid for through the generosity of strangers, he came home to his family this week. 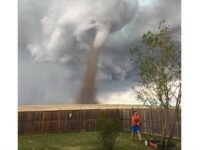 A tornado made landfall in Canada on Friday, but one man decided that a tornado was not going to stop him from mowing the lawn. 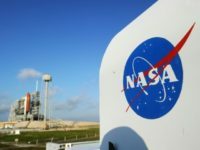 A NASA facility in New Orleans which is currently building components for a deep-space rocket known as the Space Launch System was damaged by a tornado on Tuesday. 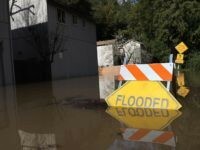 California, and especially the state’s North Coast region, has experienced “the wettest winter” in decades, thanks to recent steady rains. 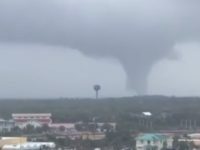 Local weather has featured widespread flooding, power outages, high tides, falling trees, school closures and even a tornado. 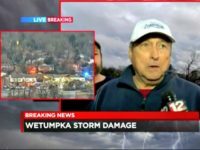 President-elect Donald Trump is sending his thoughts and prayers to the people affected by the wildfires and tornadoes in the Southeastern part of the country. 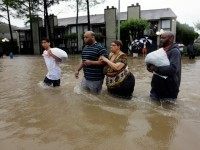 Texas is caught in extreme weather, especially the Houston and surrounding areas. 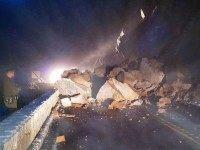 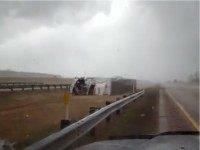 Folks all over the Lone Star State are tweeting and posting their photos and stories. 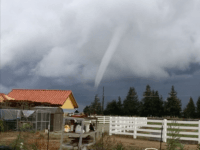 A second day of powerful storms unleashed by El Niño brought flooding, power outages and heavy snowfall to drought-ravaged California. 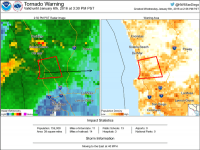 The National Weather Service issued a tornado warning for San Diego County, California on Wednesday afternoon. 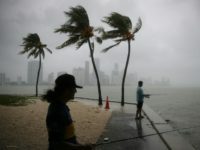 The forecasts were right: New York is officially warmer than Los Angeles on Christmas Day, thanks to El Niño. 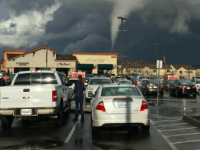 On Sunday afternoon a tornado ripped through a small town in California’s Central Valley, damaging buildings and essential power and gas lines. 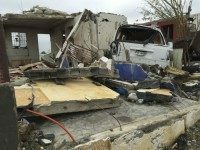 Six seconds is all it took for a EF-4 tornado to bring chaos to the Mexican border city of Ciudad Acuna, destroying 750 homes, killing 13 individuals — including three children — and sending hundreds of victims to local hospitals. 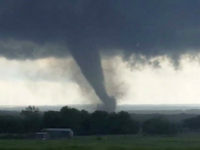 As Breitbart Texas reported, the tornado ripped an infant from a mother’s arms. 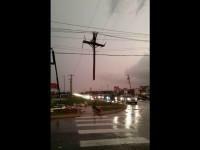 After Wednesday’s assault on areas in Oklahoma and Arkansas by tornadoes and storms, a high school student in Moore, Oklahoma, snapped a picture that quickly went viral: a broken power pole suspended on power lines that formed a cross.